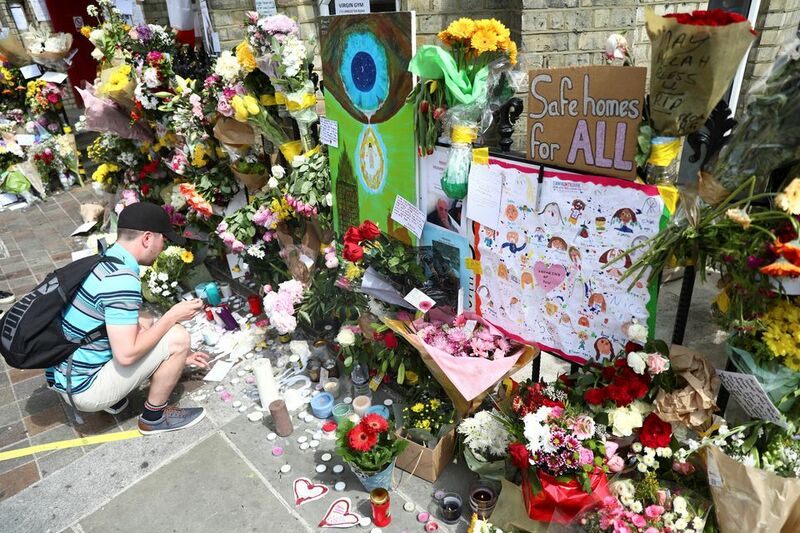 "I have seen people I know who are still in shock and who aren't on any path to recovery," Labour MP Emma Dent Coad told Parliament this week, one month after the Grenfell Tower fire. "One I know was on the phone to her terrified best friend in the tower for over an hour, debating whether to stay in the flat or try to leave. Then the phone went dead. "The surviving friend calls and texts her every day, even though, she knows, her friend is dead. Who is looking after her? I'm particularly concerned about those who may have mental health crises. "We've already had one threatened suicide and one attempted suicide. There may be more. We can be sure that many people will need urgent and intensive treatment at some point," the newly-elected politician said. "I hear from people things like 'I still hear the screaming', 'every time I close my eyes I see the children being thrown out of the window'," Dr Ahmed Kazmi, a GP working near the Grenfell Tower tells HuffPost UK. "I'm not convinced they are getting what they need. I know people who are so traumatised that they can hardly speak," Dent Coad tells HuffPost UK. So far, residents have been offered counselling at a hub in Holborn - on the other side of the city to Grenfell. "[Grenfell Tower] was a socially-economically deprived tower block, so the residents have a much higher burden of schizophrenia, depression and anxiety than the general population," Dr Kazmi tells HuffPost UK. "The period after the fire has been riddled with problems. All of our Grenfell patients are in hotels at the moment, that's true of most Grenfell patients. They have been told that they will be there for an undetermined period of time. They don't know yet their permanent housing situation. "Also, no-one has accepted culpability for this or apologised for this so there's still this issue of corporate manslaughter hanging over the issue. So these things, unless they are resolved really swiftly, may disadvantage this group of people and make them more at risk of developing Post-traumatic Stress Disorder (PTSD)." The appointment of Sir Martin Moore-Bick to lead the public inquiry into the blaze has sparked concern amongst residents. The retired judge was once accused of "social cleansing of the poor" after relocating a tenant facing homelessness to a place 50 miles away. "These families haven't been treated like victims. These families have been treated like criminals," one emotional resident said at a public meeting this week. "It's a crime to be poor... because we are tenants we are seen as sub-human." SarahDavidson, the Red Cross' head of psychosocial support, tells HuffPost UK: "The population affected by this fire were a group from a really diverse community. [These are] people who had been really disenfranchised from a lot of services and who already had, some of them, very little." "PTSD can hit a person at any time. Someone may be fine now but when they take their kids back to school in September, it could hit them then. It could hit their kids then. There is no plan for how we can help these people." 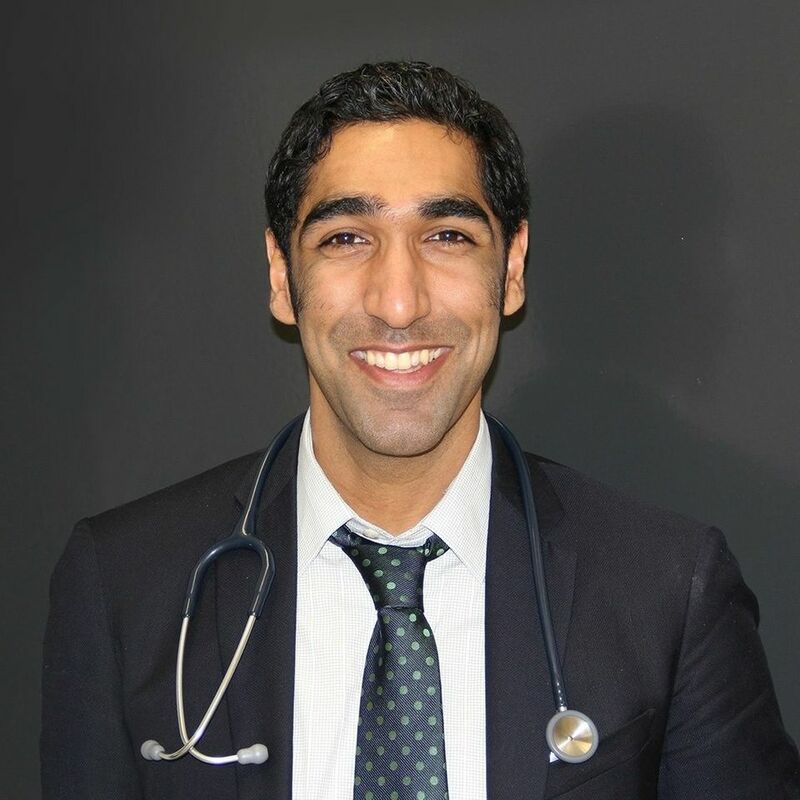 Dr Kazmi was down at the scene the morning of the blaze and says that, initially, mental health took "a bit of a back seat" as survivors and residents struggled to come to terms with the immediate aftermath of the fire. Police revealed earlier this week that 255 people escaped the blaze, yet scores of families are still waiting to be rehoused - more than four weeks after the blaze. "If the period after the event was marked by further uncertainty or prolonged stress after that period then you are more likely to develop PTSD and sadly Grenfell has all of that," Dr Kazmi says. 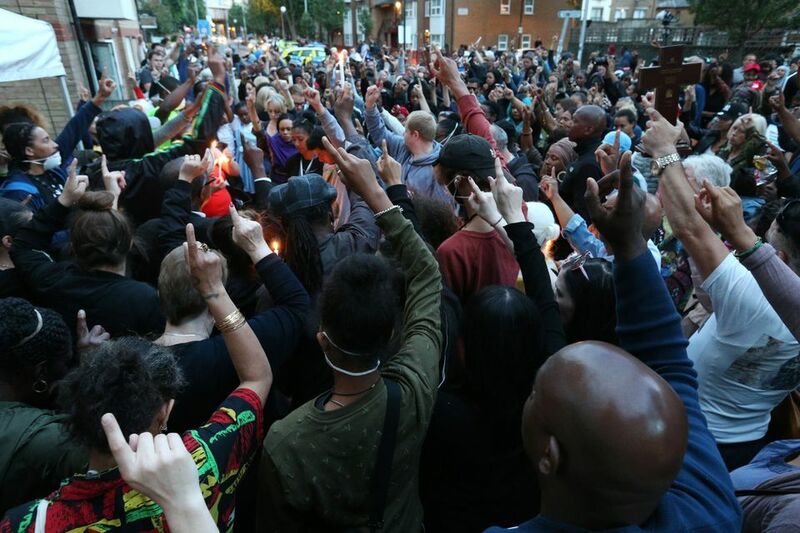 On Wednesday, a public meeting descended into chaos as residents heckled officials, shouting "murder" at members of the Grenfell Response Team, underlining the damning criticism being aimed at authorities. An admission from the new leader of Kensington and Chelsea Council that she has never stepped foot in a tower block did little to quell residents' concerns that the local authority was taking their plight seriously. Dr Kazmi says that one of the key priorities is getting people adequate housing close to where they used to live, so they don't become isolated from their support network. "The type of psychological help that should be available to adults is not being done terribly well," Atkinson says. "Some people are at different stages of grief and shock. Some just want to stay in their hotel room in the quiet." "I think we need to be visiting every Grenfell person in their temporary housing to say 'are you ok, what are your needs'?. "And I think that we run the risk now, some of the centres are starting to be closed, some of the ones in the community, like the Westway Centre are sort of being decommissioned and they are going back to their normal duties. "I think we do run the risk of slightly forgetting these people when they are all spread out in the community and I think is something we need to be vigilant about so that they don't feel forgotten and they continue to be supported." Nadia Elbhiri, from Al-Hasaniya Moroccan Women's Centre, says she knows survivors who have been offered properties far away from where they once lived. "They are being offered properties outside of the borough which will, in turn, break up their family ties, their communities. This is what's angering them. "I know survivors who have been offered properties way outside where they live and they are not accepting them because it's breaking up their community," Elbhiri tells HuffPost UK. The tragedy reverberated throughout the community. Even for those who were not directly impacted by the blaze, Dr Kazmi says that many will have suffered from "acute stress". Dr Kazmi adds: "This is shared by people who not just live in the tower or are bereaved or lost their home. This is experienced also by other people, so those from the surrounding tower blocks, people who saw it being burned, people that saw children being burned from the windows. "So the volume of people who have been affected by this is really huge. And I think it's safe to say that almost all of our patient list has been affected by this from that point of view. "We like to live life in a way where we believe that we are safe on the whole and that we believe that life is fair and relatively predictable, and one of the things about trauma and these kind of events is that it robs people of that belief. So for a split second in time they question, really, on an existential level, the meaning of life or what's going to happen in the future." It's too soon to say whether survivors and those connected to Grenfell will develop PTSD, but there is a "serious risk" of there being a large number of people with PTSD related to the fire. 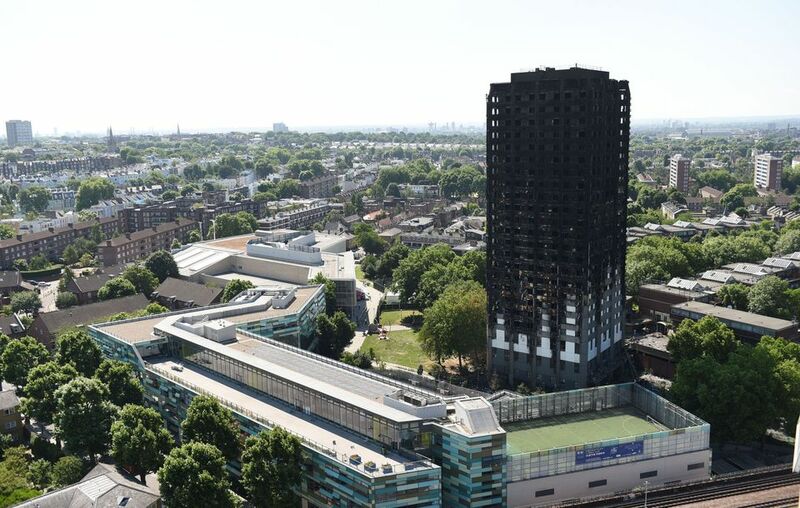 "There some features of an event which means that PTSD is more likely to develop and Grenfell has a lot of those features; it was manmade, it went on for several hours and it involved children," Dr Kazmi says. "For example, if there was an earthquake or some act of God you see less PTSD in those people subjected to it than you do with something like a shooting, because there is that element of human intervention." Unsurprisingly, the psychological impact of the fire has had an effect on people's physical health. 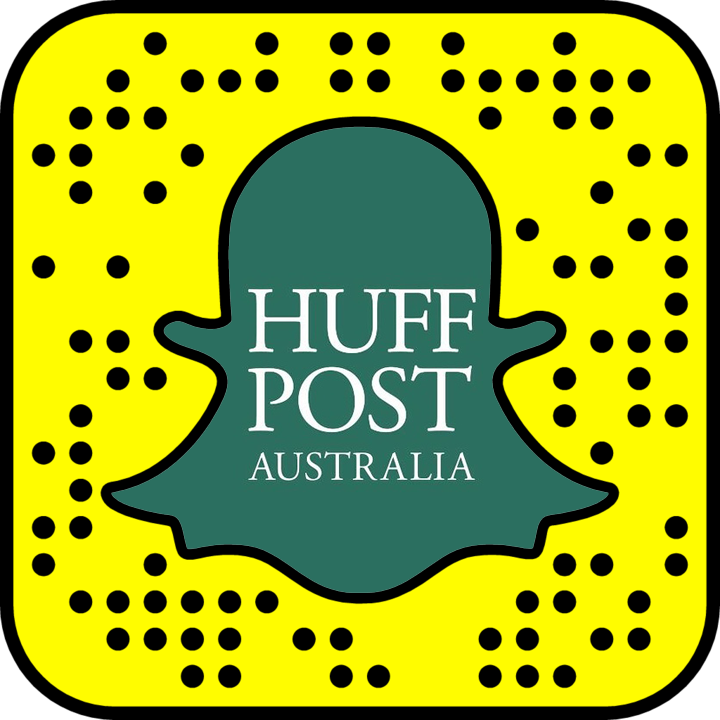 "They (the survivors) have lost a lot of weight," Elbhiri from Al-Hasaniya Moroccan Women's Centre tells HuffPost UK. "They have had a dramatic weight loss and you can tell on their faces they are exhausted, they've had a lack of sleep. It really does show, even after four weeks." The centre has been supporting people since the morning the blaze broke out. After receiving a call from one of the tower's residents, who was able to escape the blaze, members of the team were at the scene by 2am, assisting those who needed help. "They haven't really let it sink in, they are keeping busy with the day-to-day with the meetings and the support workers that they have been allocated and trying to fins somewhere to live but once that settles down, that's when they have the problems," Elbhiri says. "You can see it in their faces, they just haven't had a chance to stop and grieve and mourn for what they lost and for the neighbours they lost and friends they lost." And for non-English speaking residents seeking help, it is even harder to find the services they so desperately need. The centre is trying to raise money for a support worker who will provide counselling for Arabic speakers. "We are coming across traumatised survivors who find it difficult to speak," Elbhiri says. "It is hard enough in our culture and community to sit down and speak to a complete stranger about what you're going through but then having to do it to a third party because there's a language barrier makes it even more awkward." Elbhiri adds: "We have to give these Arabic speakers and their families the same opportunities that English speakers get." 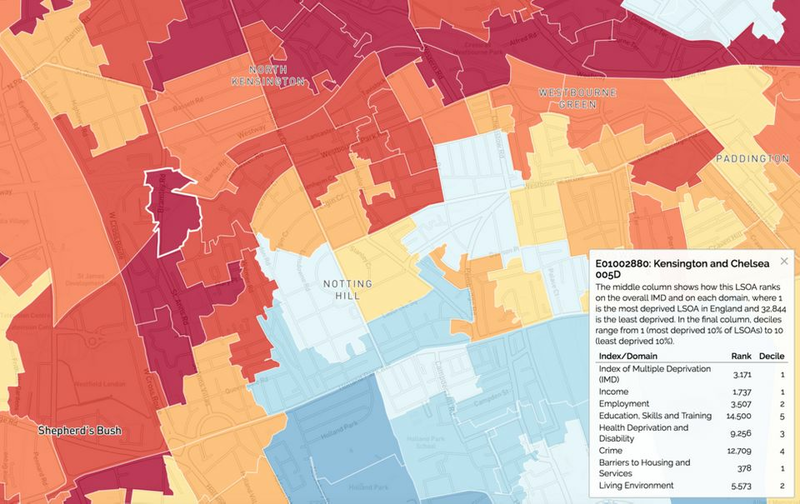 The tower's residents were surrounded by inequality, with marked differences in their income, employment and life expectancy when compared to those living just metres away. Dr Kazmi explains: "Because this cohort was quite socially economically deprived they have a much higher burden of physical illness, so higher rates of diabetes, higher rates of ischaemic heart disease, etc. "And serious life upheaval usually means people's routine has gone. So, many times they stop taking medication, their diet changes, they might eat fast food, they might miss meals, and so what I am also expecting in the near future is that we will see a lot of uncontrolled blood pressures, a lot of uncontrolled diabetics, a lot of high cholesterol. "Stress can also flare up a lot of conditions, especially long standing conditions like if you've got rheumatoid arthritis or cirrhosis so I think we are likely to see that." He adds: "The longer term issues will be, I think, flare ups, worsening of chronic health conditions and also potentially PTSD but we don't know, time will tell."